There is lot of scope for developing the Quilla Indur into an attractive tourist spot. Spread over hundreds of acres land, Nizamabad's Quilla has an old jail, temples, fountains, a meditation hall and a kalyana mandapam all within its premises. This Quilla or the fort is beleived to have been built in the 10th century by the Rashtrakoota kings. There is an old jail on the way up to the fort. The jail was used by the Asaf Zahi dynasty. 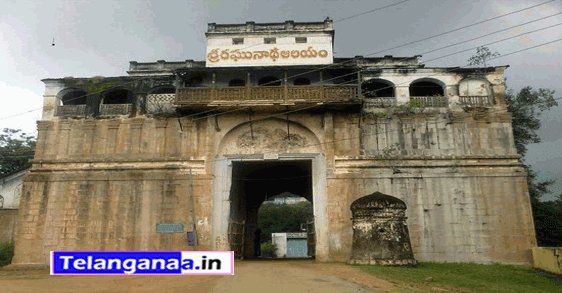 The fort attracts many tourists visiting Nizamabad. As tourists go up, they can get a quick look of the surrounding scenery and a view of the entire Nizamabad city. Ram temple, which is also called the Quilla Raghunathalayam, is very huge and magnificent. Visitors can observe that the entrance of the temple is very similar to the entrance of the Quilla. The fort also homes spacious halls that are spread over approximately 3,900 sq. ft. The idol of Lord Shri Rama is in the shape of Kurma (tortoise). According to legends, this is the place where the great saint Maharshi Raghunatha Swami sat down for tapasya. There is a very beautiful meditation hall where Raghunatha spent years meditating to gain salvation. The meditation hall has a unique system of ventilation which is the reason that the hall is always cool. The Quilla is also adorned by a beautiful and spacious kalyana mandapam. Quilla is located in the heart of Nizamabad town and is easily accessible by road. Tourists can buy some divine literature and puja related items here, including some antiques at the fort.